(Sunday, October 23, 2016): The vision less TUG has one intention, which is to destroy our country. 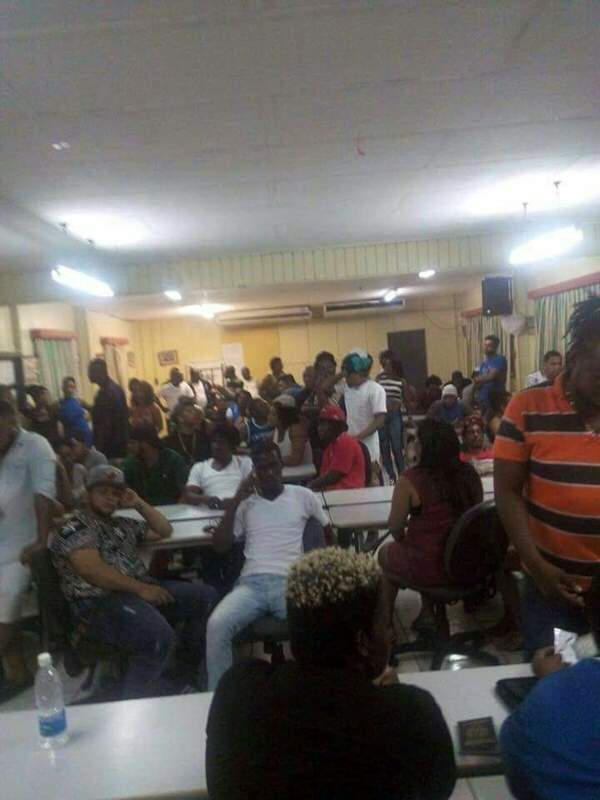 Last night immigration officials raided Latin Fiesta grounds and taking with them buses load of persons suspected of being in the country illegally, many of them are believed to be nationals of the Dominican Republic, Guyana and Jamaica. Early reports suggests that over 300 persons were taken into police custody Saturday night. It is uncertain where they are being detained as the overcrowded prison in Basseterre can’t accommodate that many illegals. We also don’t have any detention centers to house persons the government deemed deportable. Our Caribbean brothers and sisters are here contributing to the socioeconomic development of our state and bothering nobody. In many instances these illegals are doing jobs that many of our people frown on. It’s a shame that we are going to loose their economic power by deportation and reducing further our small population. Many of them also contribute to social security. This move could also put next years’ Latin Festival in jeopardy of losing its core support. One question to the police and those supporting this inhumane move is, how many of them are involved in the heinous crimes that continues to plague SKN? Are we going to see a reduction in the gang and drug violence as a result? Many Kittitian’s and Nevisians once lived and work in other countries without the required documents and sent home barrels, boxes and financial support for their family. Hundreds, if not thousands of them are still without any legal status in regional territories, North America, Canada and Europe. However, in some countries especially our Caribbean neighbors have seen the wisdom in not deporting otherwise law abiding, hard working, peaceful people. Yet because of a selfish few and haters of foreigners we have employed a policy of mass deportation of persons that were promised to be regularized if their family and friends that are legitimate voters supported Unity. Will the lazy few who complain bitterly about not finding work, get their buts up and be productive now? Will mass deportation solve the huge worker deficit, or reduce the unemployment rate? Will our economy now grow to the desired 7 percent now that illegals are being deported? Will our local people’s attitude towards work change after all illegals are rounded up like animals and deported?